You can now exchange resources and materials with your friends in No Man's Sky NEXT. Thanks to the addition of multiplayer in No Man’s Sky NEXT, you can now trade items with other players. If you’re having trouble sharing goods with friends, you’re certainly not alone. To help, we put together a quick guide that’ll teach you how to properly trade items with other players in No Man’s Sky NEXT! You can trade items with other members of your party in No Man's Sky NEXT. 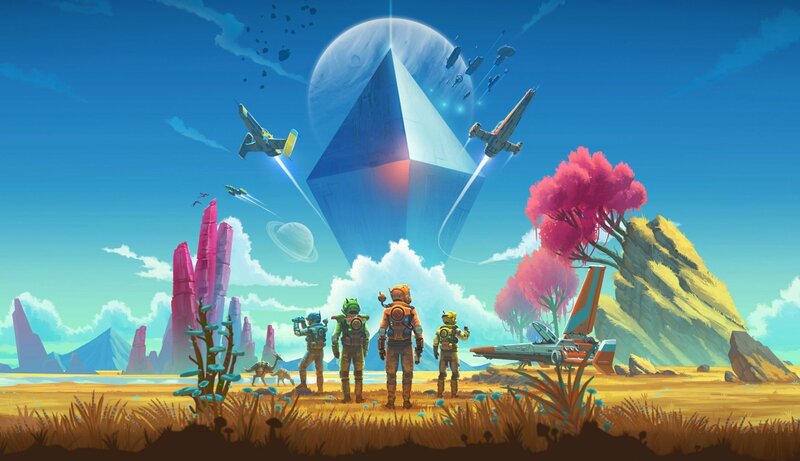 The first thing to keep in mind when learning how to trade items with other players in No Man’s Sky NEXT is that you can only trade with other members of your party. If you’ve yet to give multiplayer a shot, you can go back and recap our guide on how to join other players in No Man’s Sky NEXT. In that guide, we touch upon the difference between true multiplayer between party members, and multiplayer with other “instance” players. This is an important detail to keep in mind when learning how to trade. While up to 16 players can explore the same universe, but these “instance” players are randomized and only appear to each other as “Glitches” which look like floating orbs. As such, you’re unable to interact with these players the same way you would party members. To engage in true, cooperative multiplayer, you’ll need to add other players to your party. The max party size is 4 players, meaning you and 3 of your friends. With your party members, you can enter the world of No Man’s Sky NEXT and work together to complete objectives, build bases, and explore. To trade, press Triangle on PS4, Y on Xbox One, or X on PC then select the designated player and items you wish to trade in No Man's Sky NEXT. These party players also appear as physical avatars with, you guessed it, physical inventories that can be shared. To trade items with other players in No Man’s Sky NEXT, you’ll first need to make sure you have the NEXT update properly installed and updated. Then, engage the player you want to trade with and ensure they’re within your teleport range. To begin trading items simply press Triangle, Y on Xbox One, or X on PC. You’ll be prompted to select the player you wish to trade with, and the items you wish to trade from your inventory. With everything selected, the items will transfer from your Exosuit’s inventory to theirs. 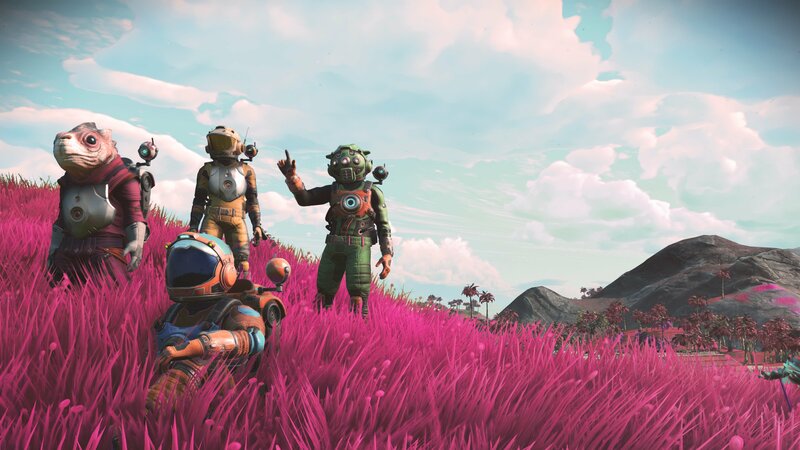 For more on No Man’s Sky NEXT, be sure to check out some of our other guides including how to customize your character in No Man’s Sky NEXT, how to get a Hermetic Seal in No Man’s Sky NEXT, and how to change the camera from first-person to third-person perspective in No Man’s Sky NEXT. By following this guide, you should now know how to trade items with other players in No Man’s Sky NEXT!